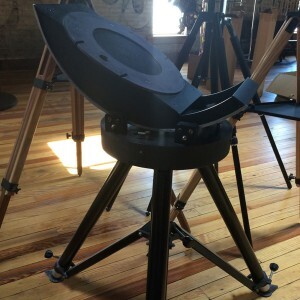 Questar 7 With Fork and Tripod/Wedge Combo Sold! This 7/14/1992 vintage 7" f/13.6 Questar Classic Maksutov-Cassegrain (serial number Z-7-731-BB) has top of the line broadband high transmission/low-reflection coatings and a low expansion Zerodur mirror. It has the traditional control box at the rear with an internal flip mirror diagonal that changes the 106x 24mm eyepiece into a 7.6x finder and an internal 2x Barlow that flips in and out of the light path. 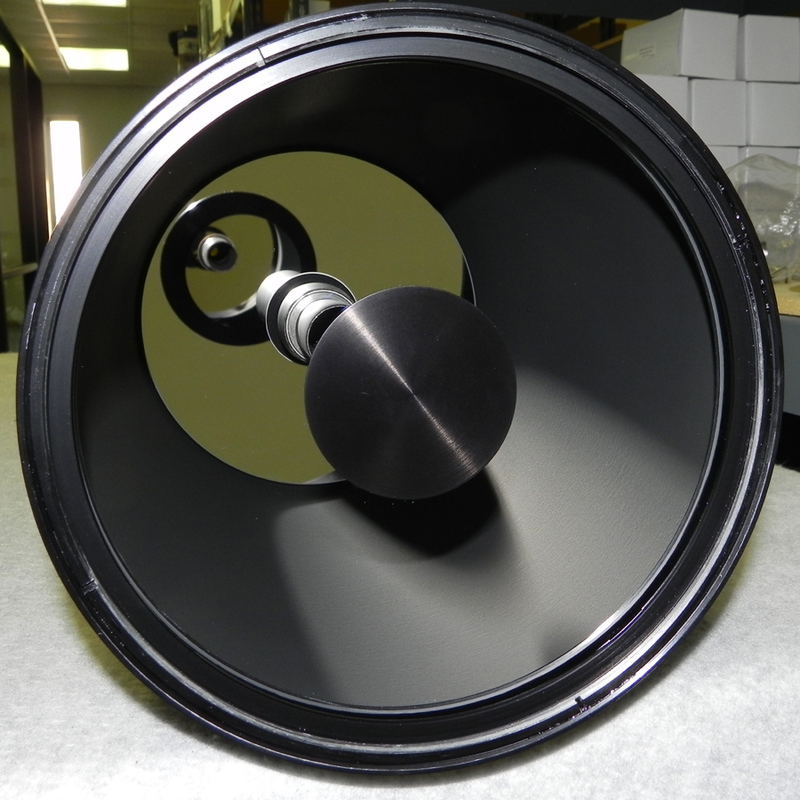 It comes with 24mm and 16mm Questar Brandon eyepieces from Vernonscope, an off-axis solar filter with a flip-into-place solar filter for the built-in finder, dew shield, and thread-in objective dust cover. 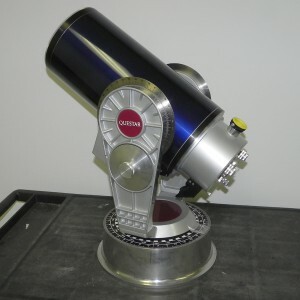 New, a Zerodur mirror/broadband coated 7" Questar optical tube currently costs $12,650. The 35 lb. heavy duty equatorial fork mount has an AC motor drive that can be upgraded at the factory to a battery-operated DC drive, with drive corrector. The old-style AC cord is missing, but a do-it yourself new cord and plug receptacle upgrade kit is available from Questar for less than $20 if you don't want to upgrade to a DC drive. 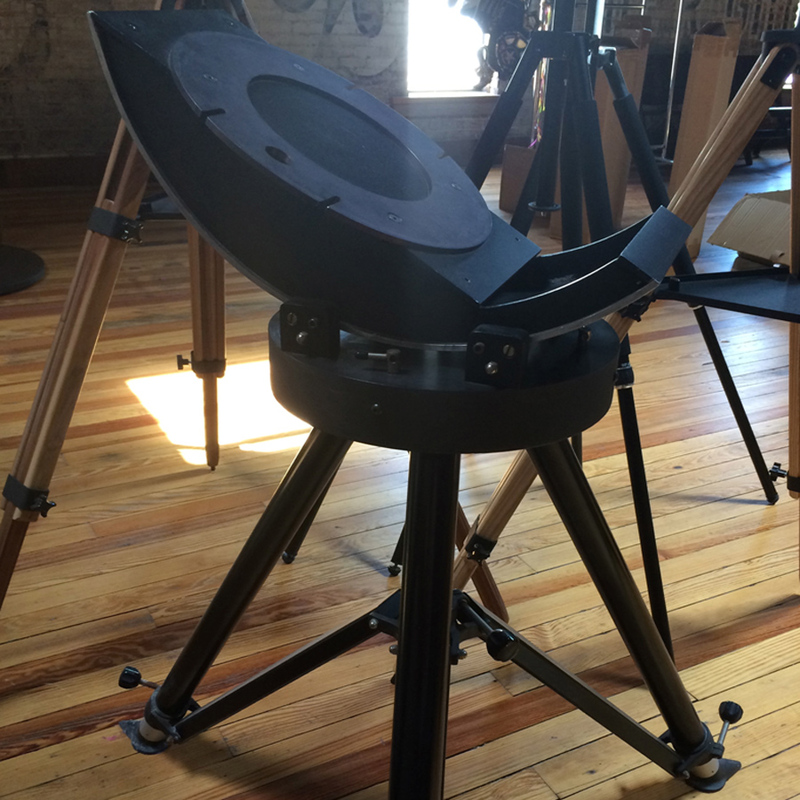 The base comes with tripod legs for tabletop use. New, the DC version (but otherwise unchanged, equatorial fork mount costs $6895. The adjustable height heavy duty tripod is no longer made by Questar. 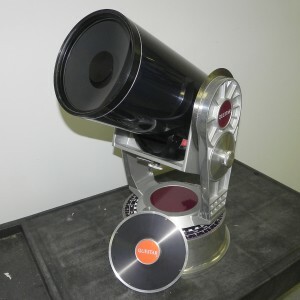 It has been replaced by the Large Astro Pier at $3395. The 1992 version tripod has adjustable height legs, unlike the current fixed height Astro Pier. The built-in heavy duty tilt head has roller bearings to make altitude and azimuth adjustments easy. 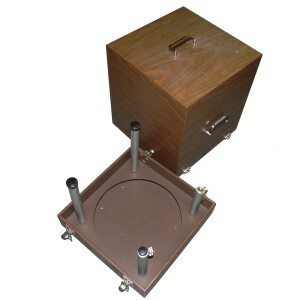 The optical tube and fork mount come in their original wood cases. 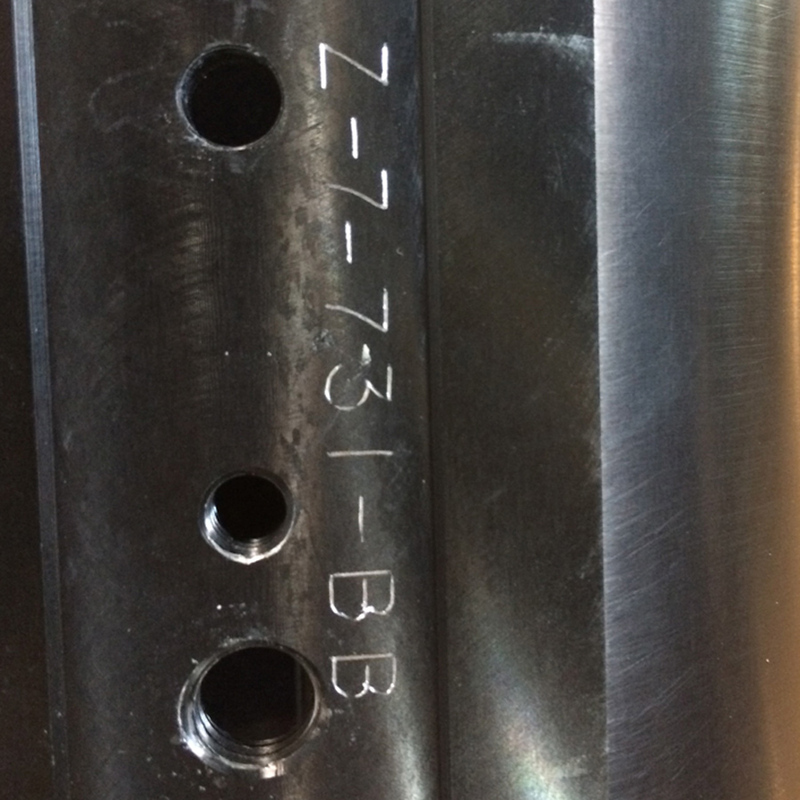 The tabletop tripod legs for the fork mount store in the mount case. 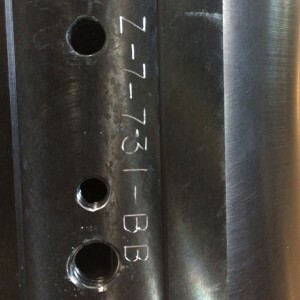 The foam lining of the OTA case has deteriorated with time and needs to be replaced. The foam reacted with the OTA focus knob and has stripped the chrome coating off part of the knob. It does not affect the focusing, but the knob can easily be replace for a better appearance. There is also a small scratch in the top of the OTA. Optics are in excellent condition. The scope has spent the last two years on display on our showroom floor. Prior to that, it had been in storage for a number of years. The scope is pick up only as it come in deluxe wooden cases that probably wouldn't make the trek.